End of year ranking for schools in New Jersey showed both Bixby & Steen schools scored above avg. in the New JerseyCAN in academics. Bogota High School place 1,361 out of 2,500 schools nationally in a Newsweek poll. These same numbers put Bogota High School 84 out 392 state wide , and 17 out of 47 in Bergen County. Follow Council Members responded to the disclosure that Councilman Jorge Nunez had taped conversations with the Borough Engineer in 2011. Councilman Nunez told Bogota Blog that he wanted to record of the information he was given, and the statements made in public by the Borough Engineer. 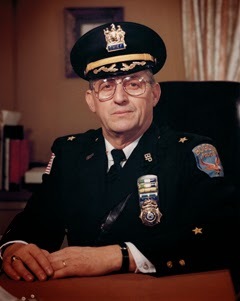 Former Police Chief Henry Smith passed away at the age of 88. A automobile accident on Palisade Ave inured three people. In December Lt. Joe DiMauro would receive special citation for his action to assist one of the victims while he was off duty at the time. The Bogota Police Emergency Services Youth Academy started their third class. The Bogart Memorial Church started a new Summer Festival of Music. In a Special Primary Democratic Mayor of Newark Cory Booker and Former Bogota Mayor Republican Steven Lonegan where voted to run for the Senate seat of the late Frank Lautenberg. A group of Parents volunteer to paint new play area of Steen School . The Borough of Bogota offers a tax exemption to the developers of the Dewey School Site. This would come in the form of a Payment in Lieu of Taxes (PILOT) for the first 30 years after a Certificate of Occupancy is issued. A new Group in Bogota called Blooming Bogota held a dance to start raising fund in order to beautify some of the Boroughs street with planting and flowers.